I will be speaking at the Oak Knoll Fest Symposium on Friday, October 3rd and showing my books at the Fest on the 4th and 5th. As usual, there is a great roster of speakers and exhibitors. Visit http://www.oakknoll.com/fest/ for details. As part of the Center for Book Arts 40th Anniversary celebrations I will be on a panel, Letterpress Today and Its Relevancy for Artmaking, moderated by Katherine Ruffin. The other panelists include Robin Price, Mark Dimunation, and Duke Collier. Visit http://www.centerforbookarts.org/colloquium/ for details. I will be discussing my recent book, Interstices & Intersections or, An Autodidact Comprehends a Cube, at a special functions dinner at The Grolier Club. 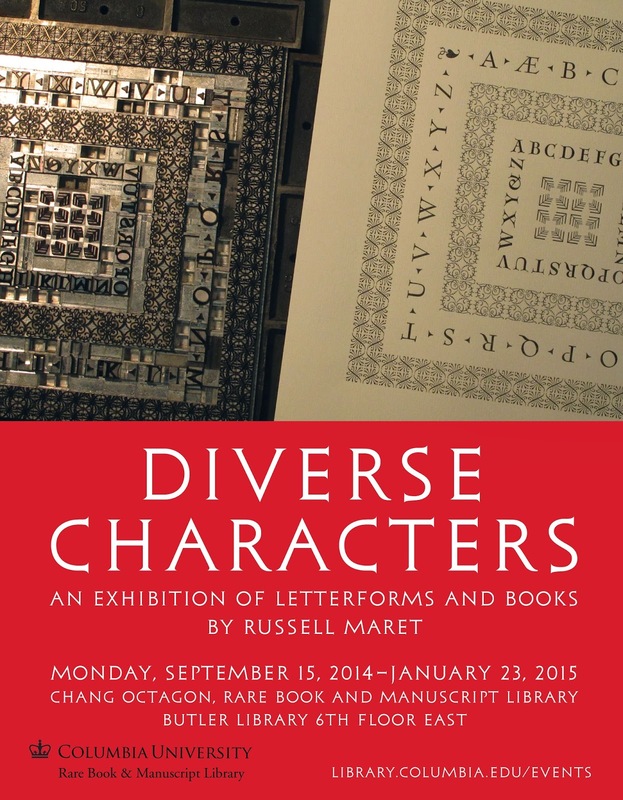 The event is only open to Grolier Club members so, if you are one, I hope to see you there. An opening reception for an exhibition of my more recent books, timed to coincide with the publication of my new bibliography, Pressed for Time. The show is on display now, closing January 23, 2015. Visit http://www.library.columbia.edu/events/ for details. First copies of Pressed for Time arrive!